In Sir Salimullah Medical College information, it is one of the renowned government medical colleges in Bangladesh located in old part of Dhaka. This college is afflicted with Dhaka University. 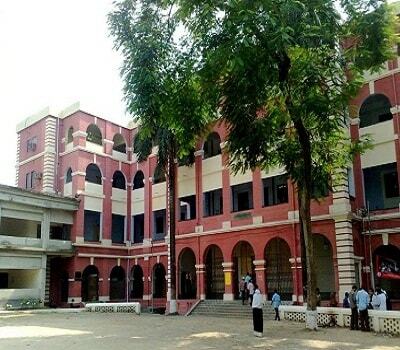 It was established in 1875 with the name of Dhaka Medical School. But in 1903 the named changed after Nawab Sir Salimullah to the acknowledgment of the contribution of Nawabs and the hospital become Sir Salimullah Medical College. Here we have gathered more about Sir Salimullah Medical College information and Sir Salimullah Medical College admission process. Father of the nation Bangabandhu Sheikh Mujibur Rahman upgraded the college as a full-fledged medical college in 1972. In the next year enrolled the first batch students of MBBS degree. Let’s know more about Sir Salimullah Medical College & information and Sir Salimullah Medical College admission process. Sir Salimullah Medical College provides all the facility for its students need for. In its large campus, there are an academic building, administration building, hospital, classrooms, department, outdoor, library and many more essential elements are ready for students needs. The library of the medical college is special for its quality and quantity of books. In this library, there are more the 23000 medical books and 150 journals are available. All the books and journal are from educational innovations, educational psychology, instructional techniques, curriculum development, curriculum evaluation and many different topics. All the books are from the publication of Human resource development for health and World Health Organization (WHO). The departments and faculties name list of Sir Salimullah Medical College (KWMC) information is given below. Department of Gynae & Obs. In addition to Sir Salimullah Medical College information, the college offers undergraduate (MBBS 4 years including 1 year of internship) and post graduate program (2 years) in MD (Medicine and allied branches), MS (Surgery and allied br, MPhil (Basic Science), Diploma (Clinical & Paraclinical subject). All the interested candidates must have to pass with minimum 8.00 GPA in total on SSC and HSC examination with Physics, Chemistry, and Biology. After the publishing of HSC result the MBBS admission will start. All the admission details will publish end of the September each year. To learn more about Sir Salimullah Medical College admission process or Sir Salimullah Medical College information, Contact on these addresses. So here is the end of Sir Salimullah Medical College information and Sir Salimullah Medical College admission process. Thanks for visiting www.bdeducationinfo.com for getting information about the Dhaka government medical college of Bangladesh. This entry was posted in Medical College, Public Medical College by admin. Bookmark the permalink.